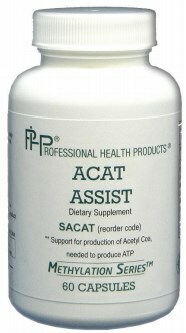 Fatty acids need to have Acetyl-L-Carnitine to transport fats through the cell membrane for energy production. When an individual has genetic variants that inhibit the production of Acetyl-L-Carnitine, the fats may oxidize and create inflammation and lipid abnormalities. 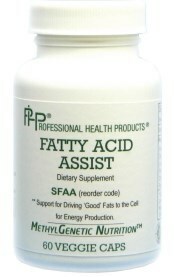 Fatty Acid Assist contains many nutrients and herbals that support the healthy transport of fats into the cell for production of AcetylCoA and the to ATP.